You are now well on your way to finding out how to supplement your income (or even replace it completely) with Affiliate Marketing. This is where you build an audience or mailing list and then recommend ethical products or services, via a unique link, and earn commissions. You can start by recommending my Clicks & Leads Academy which pays 50% on Month 1 (or Year 1) and 10% each period thereafter. I’ll be here to help you (and I can help you inside the Clicks & Leads Academy), but I’m also going to recommend someone else that I know will be able to help you too. That person’s name is Sarah Staar and I’ve known her for years. 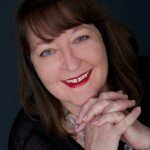 She specialises in helping people get really good at Affiliate Maketing and she’s the real deal. She’s British but lives in France and I can recommend her personally. She’s the best person I know to teach you detailed Affiliate Marketing techniques. Before we go any further, however, I would like to point out something that should be glaringly obvious, but which isn’t for some people for some reason. Your success in this, as well as any other endeavour, will be down to YOU and YOU ALONE. If you don’t take action, nothing will happen. And you need to know how to take the RIGHT action or you’ll spin your wheels, getting nowhere. Please take the time to read my Earnings Disclaimer too, so that you know that your success is 100% up to you. OK, that’s me done, check out Sarah’s videos, open my next few emails to find out more about Affiliate Marketing in general and I’ll see you at the next big Affiliate Marketing conference! p.s. If you can’t wait, click here to get started.